The same day as the Electra run (see that for the stories) we decided to run the stretch down to Middle Bar. This actually took a little work to figure out the logistics for. Looking at the write-ups I found two (old ones) that stated this lower stretch of the Electra run was illegal, I found one that had the take-out listed but no discussion, and one that said they heard it was not illegal anymore but couldn’t confirm it. So after calling trusty Chris Shackleton whom is the go-to guy for all river related trivia, he was kind enough to return my call at midnight, waking me up and after explaining, “oh, I thought your phone would be off,” I got the piece of info I was looking for, No it is not illegal anymore. So with that in my pocket we headed to this take-out the following morning. 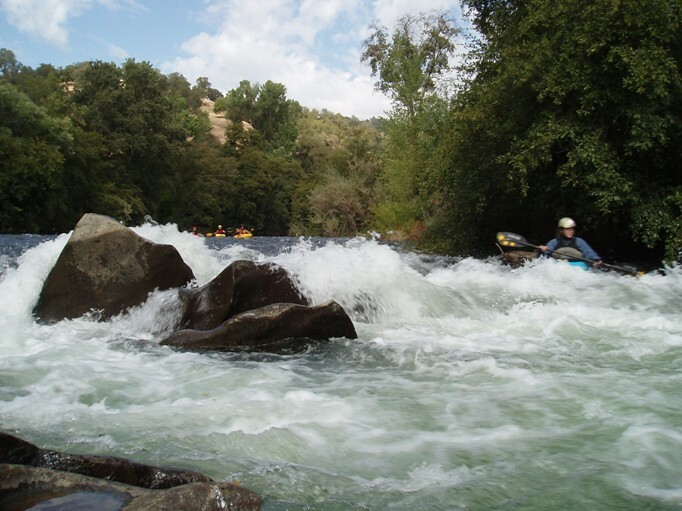 This stretch only has two rapids, the first is class II while the second is class II+ verging on class II++. The scenery is better than its upstream counterpart, making it an excellent addition to the Electra run. The only real reason why I am splitting it up is because history (old guidebooks) have the Electra run ending at the Highway 49 bridge. To repeat my final note from the Electra run, although I can’t imagine that the rapids actually become class III-IV with higher water (like 1,500-3,000) like some sources state I can imagine that the banks are high into the trees and brush making swims difficult. So I would suggest that if you are going to be heading down this stretch with more than a summer release of 800 that you have a combat roll. Update regarding river access Thanks to Katherine Evatt): There's now a sign along the river noting the easternmost boundary of Pardee Reservoir. 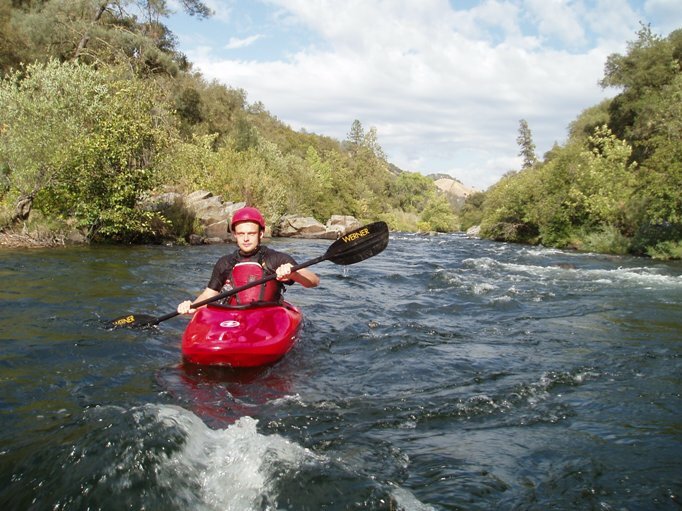 It is against state law to allow body contact recreation within the reservoir boundary, but when we got the river opened for boating the state decided that kayaking is only "incidental" body contact and let it go forward. 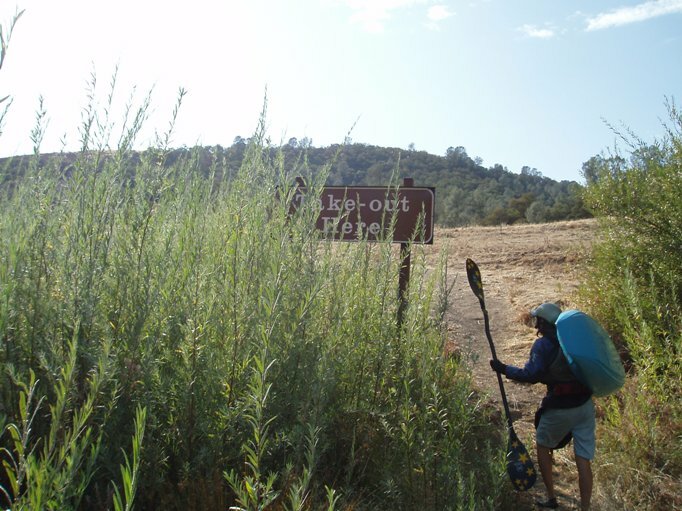 There's no body contact restriction upstream of the sign, and EBMUD knows that people raft as well as kayak the Middle Bar reach now (we take EBMUD senior staff and directors down in rafts every year). But within the reservoir boundary, it's best not to push the issue by intentionally swimming. S-Turn #2 (II). 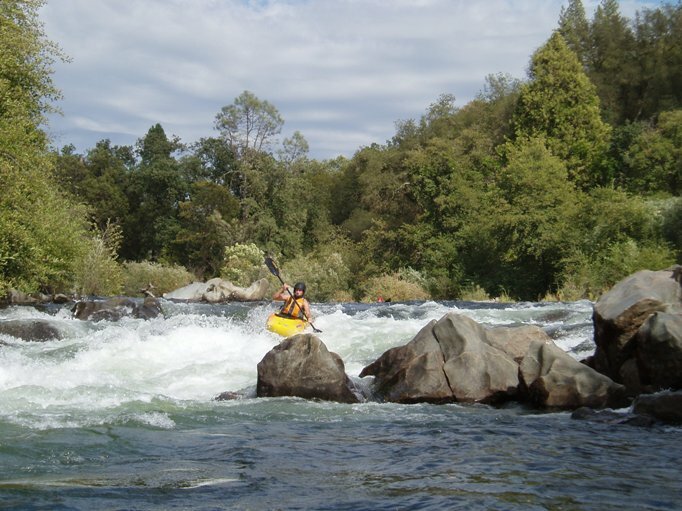 In this rapid, the right side of the river runs into several ugly rocks, however, as long as you stay on the left side of the river the first half is free and clear. The bottom was easy at 800 cfs, however if the water were in the thousands, a tree on the left side of the river would come into play and be a major hazard for swimmers (2008). Devils Toilet Bowl (II+). 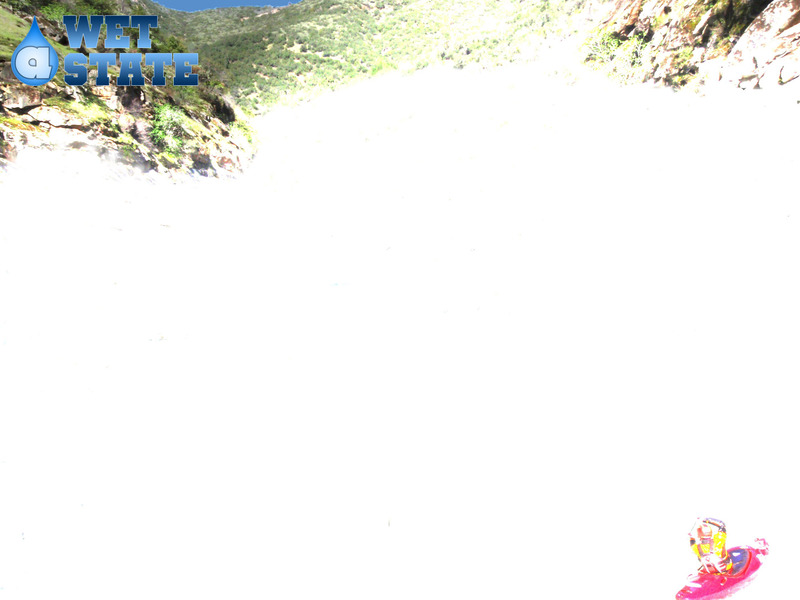 The biggest rapid below Electra Powerhouse, this rapid at 800 cfs was straight forward down the middle. I fully expected all three of my class II friends with me to flip in the first wave/hole however none of them did. Apparently at higher flows the rocks on the right become a nasty swirly hole for novice kayakers. Apparently you can take-out just below this rapid and carry up to highway 49. The rest of the run is easy class I+ to the take out. Take-out: Just south on Highway 49 of Jackson, you will see Middle Bar Rd on you right. This one-lane cement road leads to 3 miles or so to the Take-out Parking lot. Apparently, although it is now legal to boat down to here, the folks that run the EBMUD can still be very hard to deal with if present. My day, we ran into no problems with the EBMUD guy that drove by. 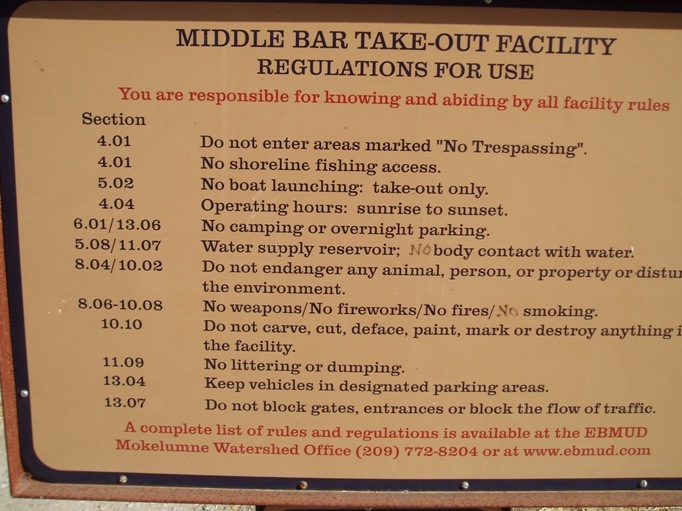 It is humorous to note that the sign at take out with the rules of the area state that along with no swimming, there is no body contact at all with the water as the water is part of the East Bay’s water supply. Now, how do they expect us to kayak down to that point without making body contact with the water? Interesting. 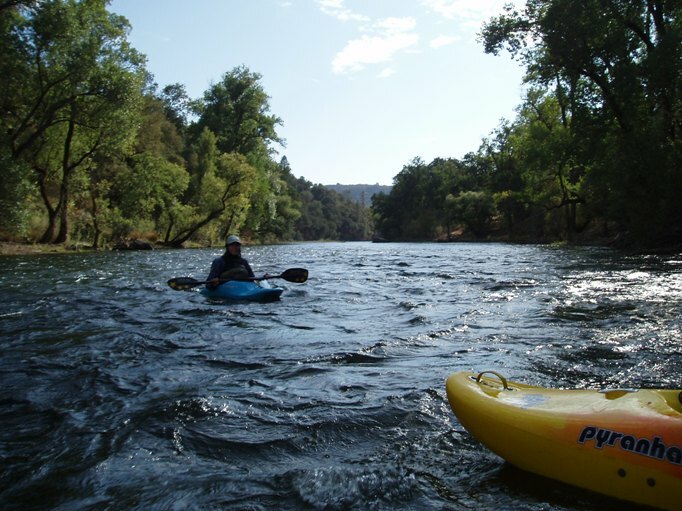 Put-in: There is a new, BLM (first legal)put-in for the Middle Bar run, in Calaveras County, river left just west of the Highway 49 bridge. It's called the Big Bar river access point. 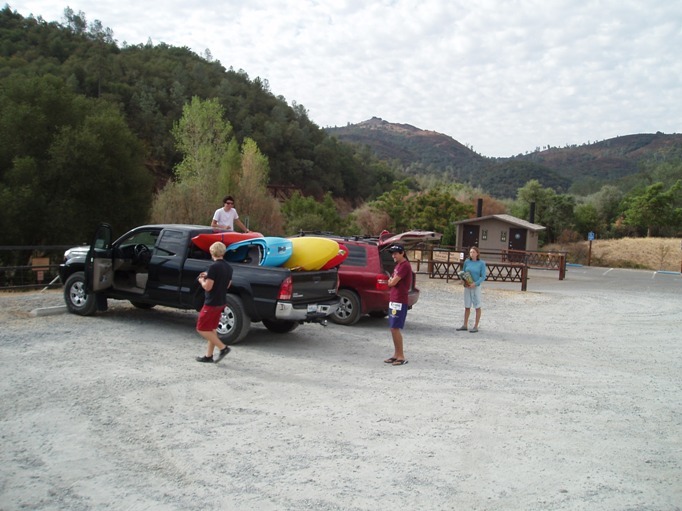 Paved parking, pit toilet, just upstream of the Devil's Toilet Bowl rapid.